Do you want to get to know the soul of the South even better? Then, here are 3 activities you must try when in Atlanta, GA! United States of America is one the countries that can compete with a lot other when it comes to beer consumption and kind of beers they produce, that is a fact. And being in Atlanta and having some free time to explore Red Brick Brewing Company means an outstanding chance to drink an exquisite beer and learn more about the brewing process, which is another fact. The Red Brick Brewery Company is a great way to spend your afternoon and learn about the beer and how it is produced. 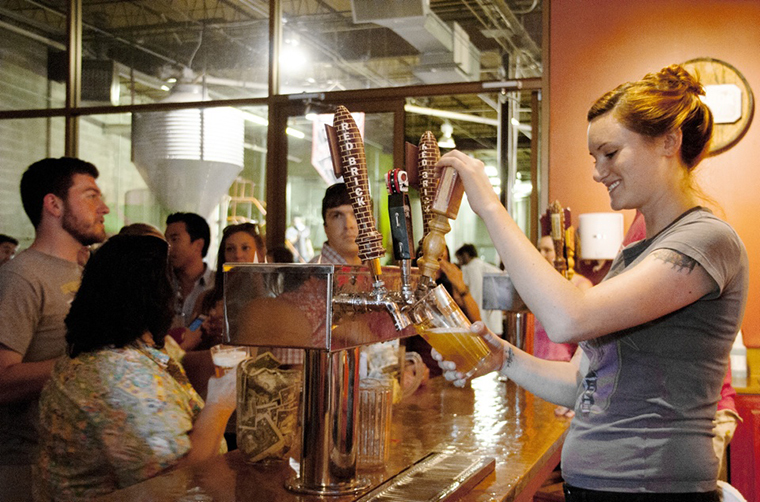 The staff working in the brewery are friendly and helpful; they’ll be willing to answer any question you have. In addition, you are going to be served a sample to try (which is usually almost a full glass) People recommend the The Laughing Skull Amber Ale, so you can keep that in mind if you are a fan of ales. The Red Brick Brewing Company is located on 2323 Defoor Hills Road and the official website of the place gives detailed information about the visiting hours as well with tour packages. Are you one of those people who pay great attention to locations while watching a movie? Or, are you Googling which café that scene was shot in once the movie is finished? If you answer yes to these questions, then you should definitely take a part in the movie tours in Atlanta. It may sound all touristic however people really enjoy the tours accompanied by the guides who are experts in their field. You get the chance not only to see the places where some of the most famous movies were shot in, but also get to learn the history of these places and what they mean for Atlanta. Movies are not the sole focus of these tours. You might as well be introduced to the places in some of the most iconic TV series that were filmed in Atlanta. If you are a fan of The Walking Dead for example, there is one tour you may find really enjoyable. It is also possible to request special tours with selected themes. The official website of Atlanta Movie Tours give detailed information about the tours, details and fees as well with tour schedule. This is one of the most recommended excursions in Atlanta; especially if you are short of time and want to make the most out of the city without having to walk too much. The Electric Car & Segway Tours usually include the most important sightseeing areas in the city. The tour guide (also the driver) gives extended information about the city, its history, and the elements that have shaped the culture. It is really an effortless, quick and fun way to learn about Atlanta, since you’ll not have to deal with reading maps or taking buses and changing to subway or reading the street numbers. In colder days, the tours are usually now very crowded so it makes it even better because you can ask whatever question you like and get more time to yourself to enjoy the sights you’ve been to. However, if your trip to Atlanta falls on warmer months, make sure you make a reservation in advance.